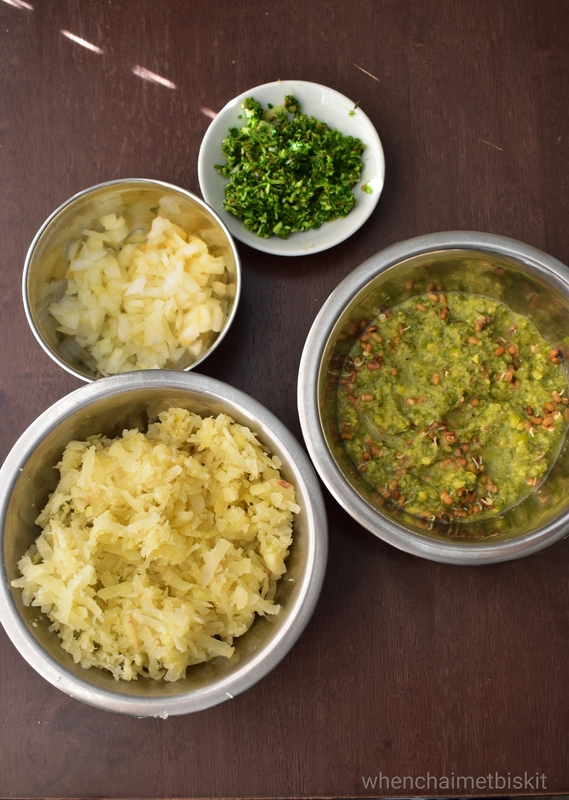 The combination of Mung beans and potatoes is match made in heaven. And why not? They taste divine together! 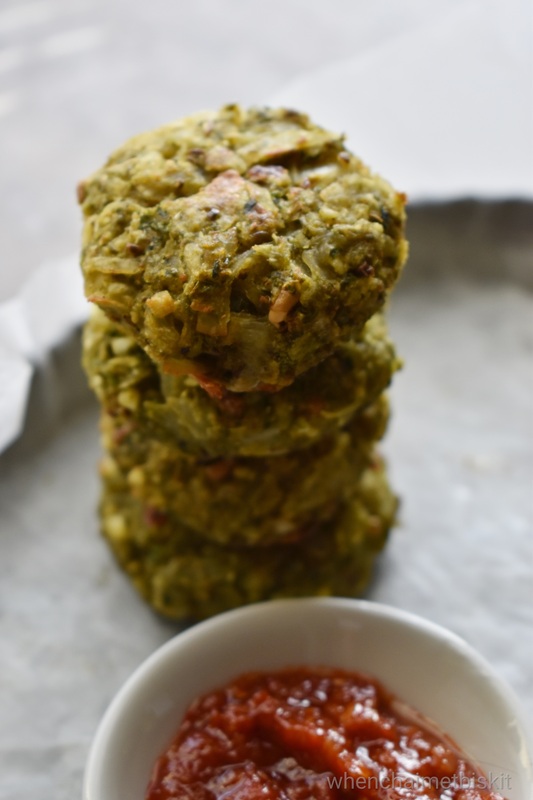 And these green mung beans and potato wada are crisp from the outside and soft from the inside. New year’s eve is around the corner and I am busy packing my bags to fly back home. To the country that I desperately miss and crave to go back. I’ll be finally going there after 17 months! To the place I longed to go from the place I now call home. So before we hop on to the flight, I thought of having a little cozy party for the 2 of us. This wada is the best one could have as an appetizer. I had made it for one of the potlucks and gosh! this recipe was asked by so many people. 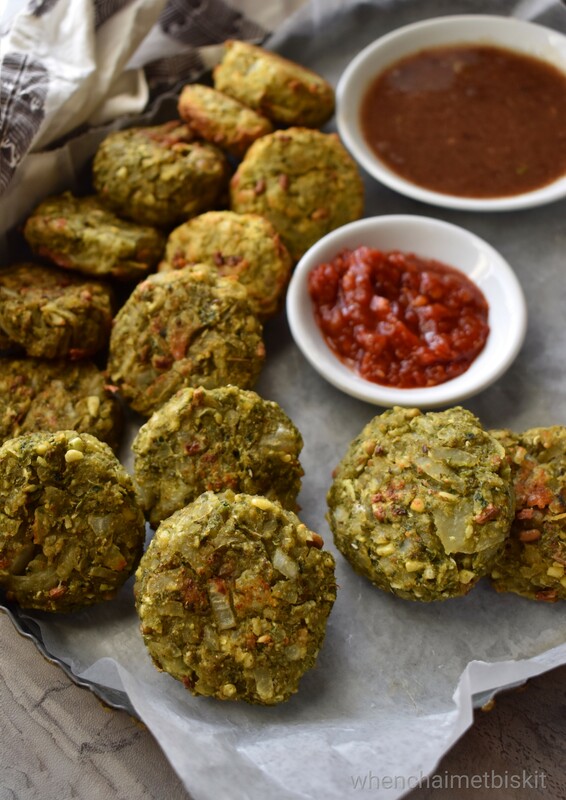 I made these spicy potato and green mung wada flavored with fresh mint leaves and garam masala. I have boiled the potatoes and green mung beans until just cooked. And made a paste of fresh coriander and mint. You can add variety of veggies like grated carrots and cabbage too. But I tell you, these few ingredients turn the dish to a star dish. These wada are easy to make and can be made ahead of time and you can heat them last moment, right at supper time. 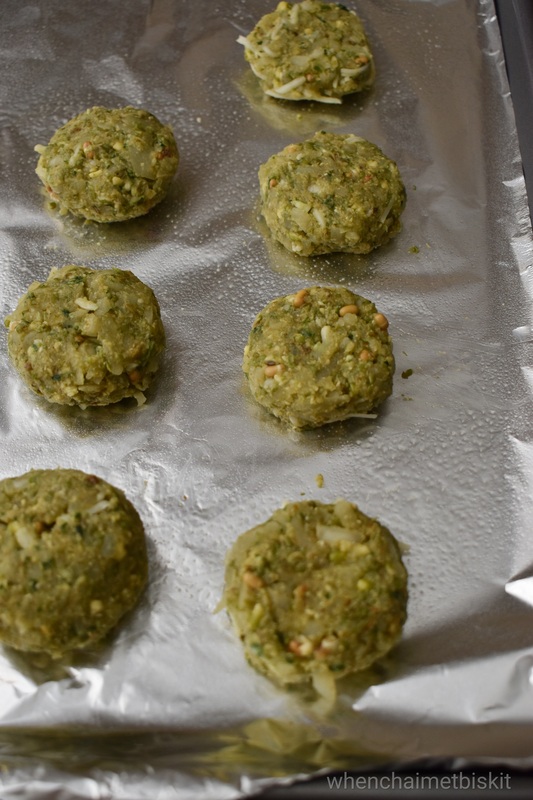 These are mostly shallow fried, they can also be baked to perfection in the oven. 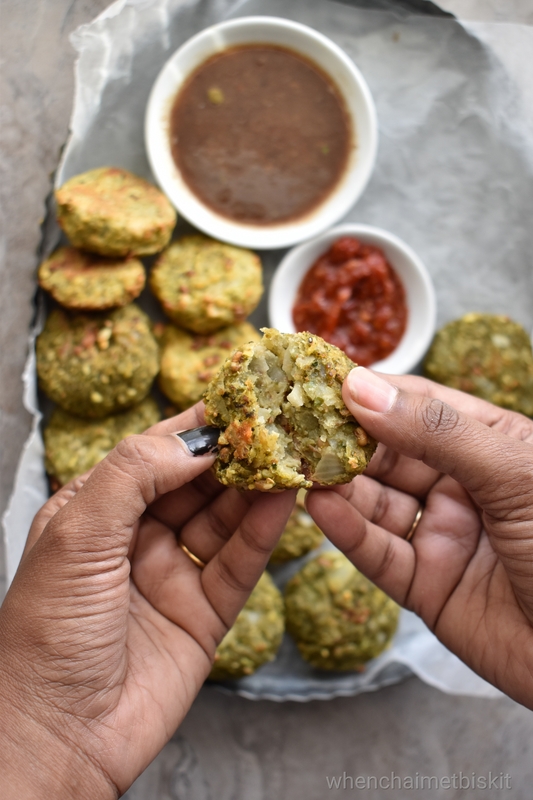 Mung bean and potato patties are the easiest to make, can be made ahead of time and tastes so good with the flavour of mint and garam masala. Boil the potato until al dente. In another pan, boil the green mung until just cooked. Peel the potatoes once cooked, and mash them in a bowl. In the same bowl, add cooked mung beans and garam masala, cumin powder, salt and ginger-garlic paste. Make a paste of fresh mint, chilies and coriander and add it to the wada mixture. Combine everything together and form small disks. This quantity yields around 8-10 medium sized wada. Preheat the oven to 400F and line the tray with a baking foil. Place the disks to the tray and bake it for 20 mins. Once golden brown, remove from the oven and serve hot. You can also add grated carrots or cabbage to the wada mixture.